At first - please, accept my apologies for long silence, and kindly accept my very best thoughts and wishes in this new 2009 year; I am not as fit as before, but I am reading all your texts as always with greatest possible interest. Most of your ideas and thoughts are "walking side by side" with mine - here I refer to what you have written on netbooks, on new MacBooks Alu, etc. But just now when I have read this text "Adventures with an Overheating PowerBook", I decided to write, although I have nothing specially clever to say, nothing new to discover, as a matter of fact just to tell you that you are not alone with such problem. Well, my fastest and "youngest" machine - now 39 months old Power Book G4 Alu 12", 1.5 GHz (last edition of that model) under OS X 10.4.11, which became half crippled about a year ago because the DVD drive stopped working, and the problem is not the drive itself, but the ATA controller that supports the drive, so this already crippled laptop about a month ago, with no obvious reason, became to get hotter than before when performing my ordinary activities, and the noise of the fan is really annoying. The Activity Monitor shows nothing special, the situation is monitored by iStat and G4FanControl applications, and finally in order to eliminate the eventual software reason, the hard drive was formatted, system was clean installed, but the situation is as before. Then the top case was removed, and the interior was thoroughly cleaned by air from compressor - well, the computer is not getting as hot as before, but still it's getting too hot and the fan turns with minimal speed almost 5000 rpm. There are strange sounds coming from the places where the fan is and from the place of the hard drive. The software check up shows that the hard drive is okay. The fan physically seems to be in good condition. So I wonder: Is it possible that the "dying" hard drive may cause overheating of this machine? And one more thing: when the laptop began overheating, I have noticed, that by some magic, with no participation from my side. the free space ca. 17 GB on the internal 80 GB hard drive got reduced to ca. 7 GB of free space. The check up showed nothing. So I have manually removed some music and movies to have 17 GB of free space again. After air cleaning of the interior, ventilation channels, etc. by some magic the free space of hard drive is now ca. 25 GB. So maybe it is really something wrong with the hard drive - this is original hard drive that came with this computer, Hitachi HTS541080G9AT00. The other point is that the laptop begins to overheat when I have been opening Internet pages with a lot of graphics, and later noticed that the activities with graphic card involved like simple games - trial of Mahjong or viewing DVD movies - also makes the machine overheat. So other reason may be the malfunctioning video card, which, unfortunately, is integrated with the motherboard. Thanks God my Pismo serves as only a Pismo can, and since the Little Al is on strike, Pismo became once again the front-line machine. As a matter of fact, what I miss in my Pismo is the larger hard drive, because the one in my Pismo is the 40 GB drive, and I am thinking on replacing it with hard drive 80 - 120 GB, in order to have all that I need for work, cloned from Little Al. But surely this is not the solution for the future, as Pismo is 8 years old, and here I feel on kind of crossroads: no FireWire MacBook Al, or jump into deep for me water and cheap in comparison netbook. We shall see. For sure I will make no move as long as I will not have the full diagnosis of present problems with the Little Al. Great to hear from you, and I'm sorry you've not been feeling fit. I can empathize firsthand, alas. I suspected that the hard drive might be the culprit in my overheating issues too. It's an 80 GB Toshiba that has been a solid performer, albeit only 4200 RPM. I really notice the difference with the 5400 RPM 40 GB Toshiba in one of my Pismos. However, the heat problem seems to have settled down again since I did a nearly clean install of OS X 10.5.6, and the fans stay off most of the time now. I do notice that some web pages as well as sending emails through an SMTP server make the machine heat up and the fans cut in quite quickly. My Pismos both are in daily or near-daily service - one is my "road laptop" and scanning/dictation machine, while the other gets a workout as my utility laptop. Both are in fine fettle. The "road Pismo" has a 4200 RPM 100 GB Seagate hard drive, but it's noticeably slower than the Toshiba in the other one. It's amazing how good and useful these old PowerBooks are. 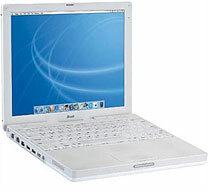 I like my 1.33 GHz 17" PowerBook, but I would really miss the Pismos, which is one reason I bought a second one. Insurance! As with you, I'm on the horns of a dilemma over what system to upgrade to. The short list candidates are the 2.1 GHz or 2.4 GHz old school MacBook, the FireWire-less unibody MacBook, or to go over my rational budget and go for a 15" unibody MacBook Pro. All these are available, at least sporadically, as Apple Certified Refurbished units. I had seriously considered an early 2008 Penryn 2.4 GHz MacBook Pro, but the issues with the Nvidia graphics accelerator in those machines has scared me off, even with Apple's extended service program. I keep my computers a lot longer than two years. BTW, the old G3 iBook is still going strong as my wife's computer. It got a little cranky today, and we determined that it probably hadn't had a restart since spring of last year. A reboot restored its smooth performance under OS X 10.4.11. The Mac platform develops in Poland like a hurricane; well, the country develops materially fast - or I am getting old, and the last 20 years seem to me like a short while :) and now more and more users can afford the Mac. The net of Authorised Resellers, Premium Resellers. etc. is growing fast. Youngest Mac generation get their Macs under influence of the "Mac Myth", but the mid generation develops distance to these - as a matter of fact - PC machines, because of the disgustible reliability of construction of last years' machines, but they want to stay with Mac OS. Very many of knowledgeable Mac users have already bought netbooks under Linux, or - shame to say - they experiment with what is called "Project x86" on these cheap-in-comparison laptops. Many people - laptop users are of some good hope when looking at Unibody MacBooks, at least if we look at their construction which seems to be solid and simple, easy for disassembling. The crucial point seems to be lack of FireWire; I wonder if the Migration Assistant and Target Disk Mode will work/be operational via ethernet cable joining two computers, or just the Migration Assistant will work when he external hard drive with, say, cloned copy/backup done by CCC would be connected via USB. I believe that CCC will work when the external hard drive will be connected via USB to the Unibody Mac Book. If this would work, then it would be easier for me to accept the lack of FireWire. Considering my problem with "vanishing" - disappearing letters from tops of keys at my white iBook G4 and now from my Little Al, I am also of certain moderate optimism because the keyboard keys on the Unibody MacBooks seem to be made of solid, I think, black, homogeneous in color material, so the letters are - I hope - not just painted on the top but hopefully made in a way like I see at WallStreet or Pismo. I somehow stay with belief, that finally Apple will make something reliable and solid. But I am aware that it may sound: "Credo, quia absurdum". I can say with certainty that Target Disk Mode does not work with USB or ethernet, but the new unibodies do support Migration Assistant. I think Carbon Copy Cloner would work fine with USB drives, but of course would not be bootable (apparently it is technically possible to boot a Mac from USB volumes - one example is the external USB drive for the MacBook Air - but not something you should count on). Something I've found a useful and convenient workaround for quick file transfers via USB is the new Targus USB 2.0 High-Speed File Transfer Cable, which includes built-in file transfer software called EasySuite that works with both Mac OS X and Windows; it can be used to transfer files cross-platform as well as from Mac to Mac or Windows to Windows. And unlike FireWire Target Disk mode, one of the computers does not have to be shut down and restarted in order to set up file transfers. The EasySuite software requires no installation, as it is stored on 2 MB flash memory in the larger of the cable's USB connector plugs. Very slick. It also works with USB 1.1 (although, of course, at USB 1.1 speeds), so I can use it with the Pismos as well as my G4 PowerBook. 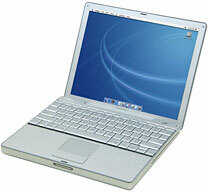 All versions of Mac OS X are supported, as well as Windows XP and Vista. The File Transfer Cable sells for US$49.99. I think netbooks are going to hurt sales of both lower-priced Macs and traditional PC laptops, especially with the economic recession. I understand Apple's reasons for resisting that end of the market, but it's like King Canute commanding the tide not to come in. The E and R are beginning to wear off the respective keys on my wonderful Kensington SlimType external keyboard (which is white with grey labels), so it's not just an issue that afflicts the Apple 'Books. I hear that the unibodies are relatively easy to take apart, and, of course, access to the RAM slots and hard drive is very simple. I thank you for your long, informative letter. From my side I would like to say, that in the process of dealing with my overheating Little Al, the first thing that we'll do will be the swap of hard drives that I have now; I will install in this troublemaking Little Al the 6-months-old hard drive, taking it out from the external enclosure, and in this way we'll try to eventually eliminate the hard drive as the reason for overheating. Then we shall see the situation. This machine was, is, and will be under OS X 10.4.11. Sounds like a sensible way to proceed. Keep us posted on what you discover. After all was said and done with the Macworld keynote, I was surprised to find that iLife 09 has the same system requirements as Leopard. I would have thought that with Snow Leopard coming out later this year, Apple would have made iLife 09 exclusively for Intel-based Macs. That made my heart a little lighter today. I have been wondering if the folks over in Cupertino have been developing a PowerPC version of Snow Leopard while sending out just Intel builds to developers, because I would figure that Apple assumes that just about every single developer for the Mac has Intel-based Macs in their arsenals. I'm starting to wonder how much Apple really cares about PowerPC users. And I've been saying for a while - used Macs still command a price premium over Wintel offerings. If it weren't for the iPod and iTunes, I would have gone to Linux by now. My best wishes to you for a Happy New Year. I think it probably depends on how much effort it takes at the development end to retain PPC support. Apparently, Apple deemed it worth the effort with iLife 09. However, I don't think there is any question that PPC users are going to be increasingly orphaned. I'm actually amazed by how well I continue to get along with an old 1.33 GHz G4 machine, but I think the thread is beginning to run out, and once Snow Leopard is out, more and more developers will drop PPC support. I'm sanguine about that. My next system will be Intel, and I've had good runs with PPC - and before it 680x0. In response to Richard's question in your mailbag: Will a 7200 rpm Drive Overheat a G3 iMac? Three or four years ago I installed a 7200 RPM hard drive in a 500 MHz G3 iMac (Summer 2000). I lent it to a friend, who ran it round the clock for weeks on end. Never had heat issues. It runs Tiger well enough for basic Internet, email, word processing, and old versions of iTunes and iPhoto. A fast hard drive and 1 GB of RAM really did a lot for it. The drive is an 80 GB Samsung. It is out of production, but Western Digital still makes 3.5" ATA-100 hard drives. Any modern one-platter hard drive will probably run cooler than the iMac's original hard drive. I put a 120 GB 7200 rpm Seagate hard drive in my 600 MHz iMac and ran it 24 hours a day for years with no overheating. One time I left home for two weeks during September in Texas with the air conditioning off the entire time while I was away. There was a hot spell while I was gone. When I got home the house, was 95 degrees. I'm sure it got hotter than that while I was gone. The little iMac ran perfectly the entire time. Today's 7200 rpm hard drives have better bearings, use less energy, make less noise, last longer, and make less heat that the old, slow hard drives that came with the G3 iMac. I say put a 7200 rpm hard drive in it and don't worry about it. Expect to see a small performance increase as a result. I have 7200 RPM 3.5" drives in two external hard drives, and neither of them gets very hot, nor do I find that the 5400 RPM drive in one of my Pismos runs noticeably hotter than the 4200 RPM hard drive in the other one. I agree that it's not an issue that I would worry about, and I find that even the 5400 RPM drive offers significantly better performance than a 4200 RPM unit, especially once you get a bunch of virtual memory swap files built up. Just read Stephen's comments about this in the latest Ramblings. This is where laptops really shine. I have a Kensington 70 Watt Auto/Air power adapter that will run a PowerBook for a very long time if my batteries don't outlast the power interruption. I also have a power inverter that can run small current draw 115 volt AC devices (such as a router) from a car battery for some time. If your car is gassed up, you can recharge if necessary. A fast comment about laptops, DSL service, and power failures. I haven't tried anything, but I have to think it would be possible to power a DSL modem and router during a power failure with some battery system. One thing I've wondered about is if the UPS type power backups wouldn't work. If one can keep a desktop computer going 20 minutes, it should (I half think) keep a DSL modem going for much longer. An easier solution, and one I'd seriously consider if I were in your position (needing email for business, but faced with regular, potentially lengthy power failures) would be keeping a dialup account just for power failures. You may have thought of this - but again, you may easily think when high speed comes: "Get rid of this dialup! I'm sick of it!" Thanks for the comment and suggestion. I actually do plan to keep a dialup account when broadband finally arrives here for the reasons you cite. The ISP (there's only one serving this area) offers a bare bones limited hours per month account for $10, which should fit the bill. I've been on dialup here since 1997, and I can only recall a couple of (relatively short) service outages in that time, one of them when a highways department bush whacking machine accidentally cut the main fiber optics cable leading out of this county, and that was fixed by the end of the day. That limited use account should work. Overall, apart from power failures, DSL service is mostly reliable, and I imagine cable service is, too. Most glitches can be solved simply by turning off the modem, letting it sit five minutes, and turning it back on. Some people do this regularly (say, weekly), thinking that the reset improves performance overall. Yes, my understanding is that DSL and cable are quite reliable. Unfortunately we will be getting neither here. The solution in the works is wireless from a tall tower, analogically similar to cellphone service, but requiring a dish mounted on the house aimed at the tower and a proprietary modem. What I hear is that it's reasonably reliable but can be affected by weather, which we have plenty of here in the winter months. People I know who have satellite Internet service, which is currently the only broadband option in most of rural Nova Scotia, but not especially fast broadband unless you pay for the even more astronomically expensive higher speed options (even the base plans are beyond what I can rationally justify on my budget), tends to crap out in snow and ice storms and even summer thunderstorms.